We reboot Northwest Goofballs just in time for week one of the 2010 football season. The Goofballs throw down their picks for kickoff weekend starting with the NFC Championship game from last year, Brett Favre and the Minnesota Vikings take on Drew Brees and the New Orleans Saints. Then the Goofballs talk about the current state of the Seattle Seahawks. 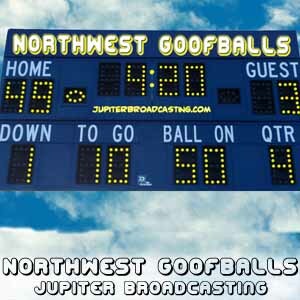 WARNING: The Northwest Goofballs Football Podcast may contain explicit content. We are not professionals, we are idiots. Listening to us will make you taller, and less aggravating to the people around you. Side effects of not listening may include cranial leakage, vacated bowels, Turkey neck, testicular implosion, and a stupid look on your face!